Winter is coming, said AAA mid-Atlantic's John Townsend, and more drivers are going to get stuck because they make these common cold-weather mistakes. WASHINGTON — With a dip in temperatures expected, more drivers are likely to find themselves stuck on the side of the road this Thanksgiving weekend. 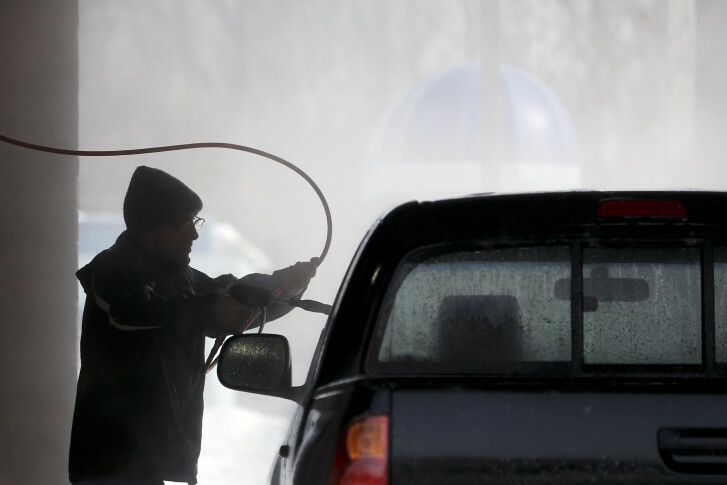 “Many of us have not prepared our cars for the rigors of winter driving,” said John Townsend, with AAA mid-Atlantic. Townsend said AAA expected more than 25,000 motorists will find themselves with the common car troubles which come with colder temperatures. Nationwide, they expect nearly 360,000 calls for roadside service. The number one call, Townsend said, will be for dead batteries, which require a jump or must be replaced. Getting a battery checked could save a driver the troubles of finding out too late that their battery is at the end of the line. The second-most frequent call to AAA is for flat tires, Townsend said — for every 10 degrees the mercury drops, a tire loses about a pound of pressure. “Many people have already underinflated tires,” Townsend said, so when you add in a cold road trip, those tires may not be able to keep up. He recommends that tire pressure be checked once a month. The third-most common call is motorists who lock themselves out of their cars, often because they don’t want to get into a cold car. “They’re trying to warm their cars up, go back inside of the house, into that cocoon, and they come back and the car is locked,” Townsend said. AAA also tells motorists to get out their manual and make sure fluids such as oil and antifreeze are where they should be, and make sure any cracking belts are replaced. Townsend also urges drivers to keep gas tanks full of fuel, so in situations such as a flat tire, you can keep running the engine to provide heat to those inside. Also, have an emergency kit in case your car stalls. That should include a cellphone charger, snow brush and scraper, kitty litter for icy conditions, a flashlight with batteries, jumper cables, blankets, extra coats and gloves. Also have snacks, water and any medications on hand. Finally, have flares and reflective triangles to help make it clearer to other drivers that your car is disabled.